In certain pockets of the punk world, people will tell you without hesitation that Tenement’s Predatory Headlights is the best record of the year. The 80-minute double-album has been about four years in the making; the process has taken so long that in the mean time, the Wisconsin trio decided to release Bruised Music Vol. 1, a compilation of their songs from 2006-2009. 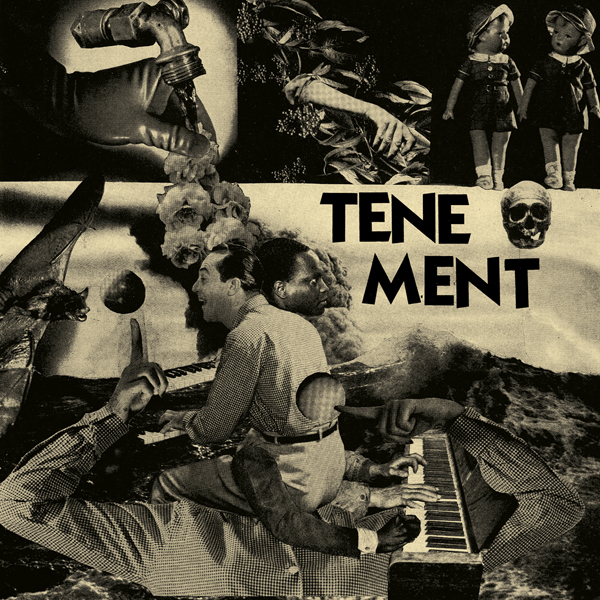 As that retrospective record shows, Tenement’s roots are in full-speed, melodic basement punk; heavy riffs, crunchy solos, pop-punk drumming. Predatory Headlights at times sounds like a different band altogether, or perhaps one with a more fully formed sense of itself. Songwriter Amos Pitsch has clearly spent a lot of time both in his head and digging through record crates of out-there jazz and post-punk records, pinning such varied influences to the Tenement’s punk backbone at the record’s every turn. Amidst a slew of melodic guitar-pop tracks, on Predatory there are also piano ballads, blown-out punk rock story-songs, falsetto hooks over finger-picked riffs, the occasional ambient noise meditation; there is one 10-minute wordless jam that sounds like a horror film score, and there are lots of tastefully placed strings. It was largely written and recorded at their Appleton, Wisconsin punk house, The BFG, but sounds bigger. “Hive of Hives” (track 20 of 25) is one of the record’s deceptively simpler power-pop moments. (“Even just writing the most simple pop song can sometimes be the most challenging endeavor,” Pitsch said in a recent interview with Meghan Minior.) “So far away from anything that you can see / I’ve finally found myself far from the feeding of the bees,” starts Pitsch with a punchy twang, an ode to backing away that pairs stomping, dark-light Summerteeth-style rock with hooky wordless “ah ah ahs”. The song is streaming below; Predatory Headlights is out June 2 on Don Giovanni.